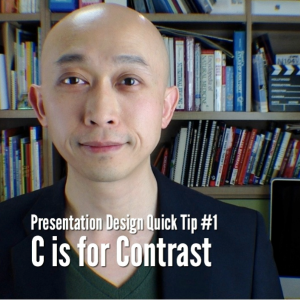 Tip #1 – C is for Contrast. 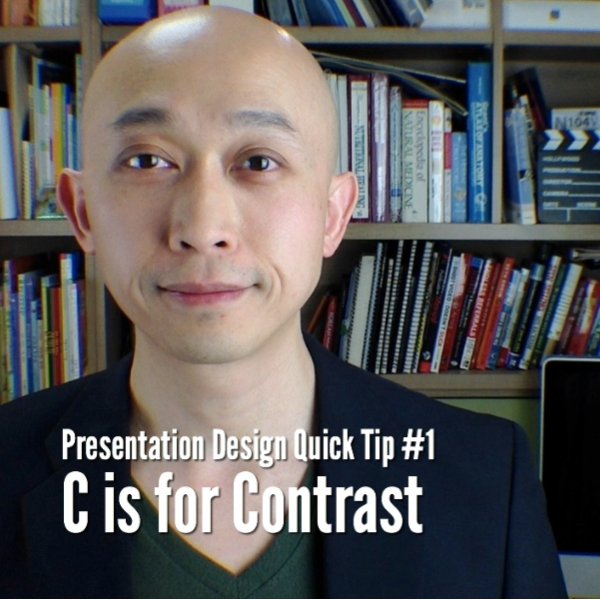 In this video you will learn how to use contrast to make your presentation slides look more professional and easier for your audience to see. Contrast is one of four basic design principles that form the acronym CRAP. Contrast helps people understand what is significant and what is less significant because our brain tells us that larger means more important. Conversely, our brain also tells us that smaller means less important. When applying contrast to your presentations, you can make your point more clear by using larger text for your main points. Larger objects contrasting with smaller objects also has the same effect.